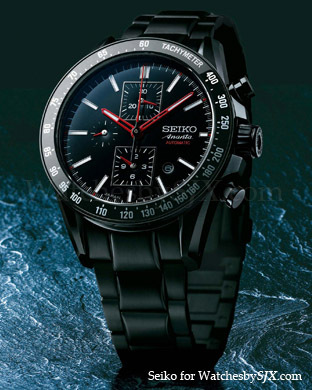 ﻿Seiko adds two urushi dial chronographs to its line-up this year at Baselworld 2012. Both are part of the Ananta range of mid-priced, sporty watches. They still have in-house mechanical movements, but are a step below Grand Seiko in quality (and price). 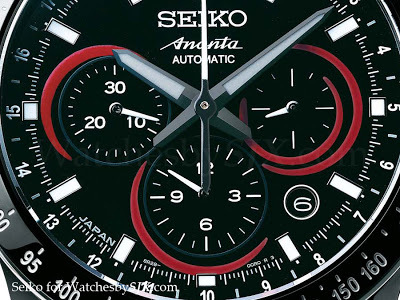 The first is the Ananta Kumadori Chronogaph (SRQ015). 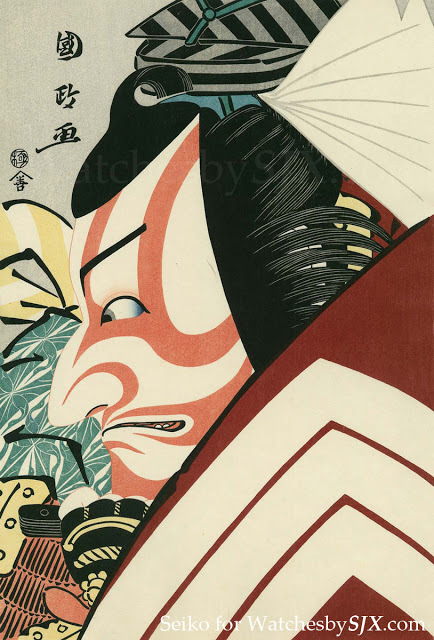 The red swirls on the chronograph subdials are inspired by Kumadori, the exaggerated and colourful make up worn by Kabuki theatre actors. 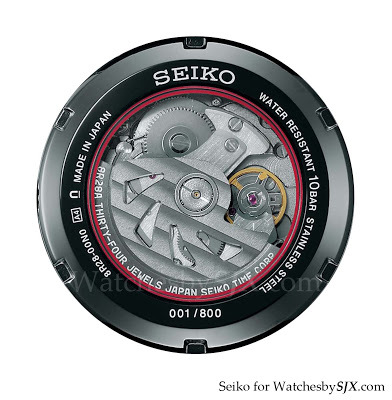 These red rings are hand-painted urushi lacquer, as is the deep, glossy black base of the dial. This is done by Isshu Tamura, a noted lacquer artisan. Urushi is a natural lacquer obtained from the sap of the urushi tree. It provides very deep and rich colours that are impervious to fading and wear, even fire, though it can fade when exposed directly to UV light. The case is 42.8 mm in black-coated steel with a display back showing the in-house 8R28 automatic chronograph movement that features a column wheel and vertical clutch. This is a limited edition of 800 pieces with a retail price of EUR4000. 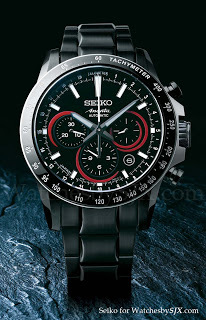 This is not a bad looking watch, but the overall design seems a bit pedestrian. This is limited to 800 pieces with a retail price of JPY367,500 in Japan, including domestic tax of 5%. The case is black coated steel with a ceramic bezel. Inside is the 6S28 automatic chronograph movement, which similarly has column wheel and vertical clutch. I quite like the look of this one. The square subdials give it a retro seventies feel.